Shelbee Holcomb, Katie Laughman and Cassie Rickrode tried their best to smile through the tears. The Delone Catholic seniors had just seen their high school athletic careers end as the Squirettes lost, 1-0, to Kutztown in the District 3 Class AA semifinals at Millersville University on Tuesday. As Delone's dejected players walked out of the dugout for the final time, coaches and a few parents lined up to take photos with the three players that led the team to so much success the past four years. With Holcomb, Laughman and Rickrode in the lineup, the Squirettes won four straight Division IV titles, a District 3 title and reached the PIAA playoffs the past two seasons. Most people expected them to make it back this season, but they came up one win short of that goal. After all the photos had been snapped, the trio admitted that they never expected Tuesday's game to be their last. "I didn't really think about it until the last inning, it really didn't cross my mind," Holcomb said. "I feel like once (Kutztown) got up, it really hit me that we needed to start hitting or this would be our last game," Laughman added. 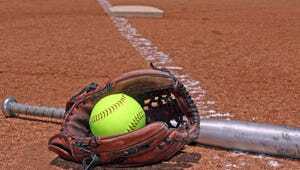 As good as the Squirettes (17-4) were in 2016, they didn't hit their best toward the end of the season and clearly struggled against Kutztown pitcher Katie Calkins on Tuesday. Delone Catholic finished with just four hits and couldn't capitalize on numerous opportunities to get a run across. With one out in the bottom of the third, Laughman ripped a ball to the left-field fence but was thrown out trying to stretch the double into a triple. The decision not to hold her prevented the meat of Delone's lineup (Callie Shearer, Holcomb, Rickrode) from having a chance to drive her in. "The shortstop has a cannon, she does," head coach Don Smith said. "What can I say, we gambled and we lost." The Squirettes would load the bases in the fourth and put the tying run on first base with one out in the seventh, but they could never string together enough hits to score a run. Holcomb, Laughman and Rickrode all hit balls hard but only produced one hit (Laughman's double) combined. Despite the loss, Rickrode was terrific on the mound, striking out five batters and walking zero. Kutztown's only run came in the fifth when Jillian Siefert reached second base on a throwing error, stole third and scored on a ground out. "Cassie's fantastic, If I was going to college to play softball, I would wish I was on Cassie's team," Laughman said. "For her to keep throwing strikes and pounding the glove is so good." As they wiped tears from their eyes, all three seniors said they were proud of their accomplishments despite the heartbreaking end to their careers. While the three have all played for travel teams and will continue playing sports in college, they said their experiences at Delone Catholic will always be memorable. "For us, we've created such a bond together with the team and the coaches, it means a lot to me," Laughman said. "Especially us three, we were really close," Rickrode added. "I'm disappointed but looking back we had a lot of accomplishments as a team and individually we did really well."